In today’s tutorial I’m going to share with you 7 free tools that will help you rank #1 on Google. Learn these SEO optimization techniques and skyrocket your rankings on Google! If you’re new to the world of SEO (search engine optimization), these seven free tools will go a long way in helping you formulate a strategy for reaching your goals. Google Search Console will show you all the keywords that you’re ranking for that are driving the majority of your traffic. By creating your own headline or title tag that’s more appealing, as well as including the keyword, you’re more likely to get clicks. Google Search Console has already showed you what keywords you’re getting traffic for. If you plug these keywords into Ubersuggest, it will show you all the long tail variations of those keywords. If you already rank for the headterms, it’s really easy to rank for the long tail terms. 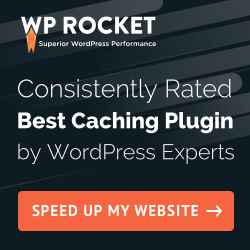 This plugin will make your life so much easier if you run your website on WordPress. Yoast SEO Plugin will help you optimize your code, title tags, meta description and create a XML sitemap. Your site needs to be mobile compatible and putting your website into this tool will tell you, if your website is responsive and mobile friendly. By creating a brand, you’re going to do better on Google. And Google Trends shows you how your brand is doing compared to other people. You want the bigger brand and Google Trends will show this. More people use Google on their mobile devices than on their desktop computers. That’s why speed is so important. Google has an index just for mobile sites. So, you want to ensure that your website loads as fast as possible. Keywords Everywhere plugin will show you how many people are searching for your terms and related keywords as you’re using Google. It’ll give you more keyword ideas, because you can see the search volume and how good some of these keywords are.